The Vasa Wind Orchestra opens the perfomance in Christ Chapel with Ron Nelson’s Lauds, followed by Spoon River by Percy Grainger. The ensemble continues with Curiale’s Forgiveness, written earlier this year and Bartok’s Allegro Barbaro. With members of the Gustavus Wind Orchestra, the Vasa group will then perform Missing Man, a work written in 2005 by Jerker Johansson. The first set ends with Gustav Holst’s A Moorside Suite. The Gustavus Wind Orchestra continues after a brief intermission with Giannini’s Symphony No. 3. Saxophone soloist Matt Bergman then leads the ensemble with a performance of Leon Russell’s This Masquerade. In recognition of Dr. Myron Falck’s with the Gustavus Band from 1954 through 1982, the Wind Orchestra will perform the National Emblem March by E. E. Bagley and edited by Frederick Fennell. 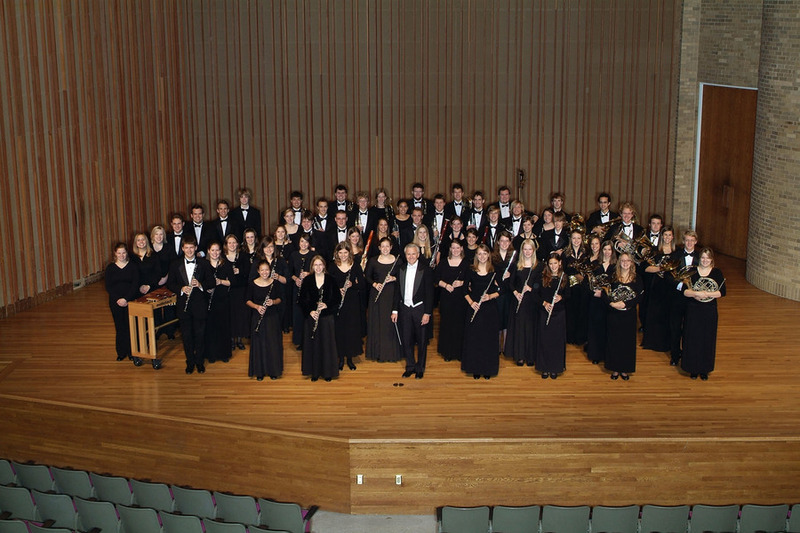 In May 2003, in his last conducting appearance with the Gustavus Band, Dr. Falck conducted the Gustavus Alumni Band in this work as part of the Band’s 125th Anniversary Celebration. The concert ends with the Battle Hymn of the Republic, arranged by Luigi Zaninelli. Friday’s performance in Christ Chapel begins at 7:30 p.m. and is free and open to the public.